Some Black Lives Matter members in Rockland County claim they were racially profiled and subjected to illegal surveillance by a secret unit. Sarah Wallace reports. Local members of Black Lives Matter in Rockland County, New York, claim they were racially profiled and subjected to illegal surveillance by a secret law enforcement unit. 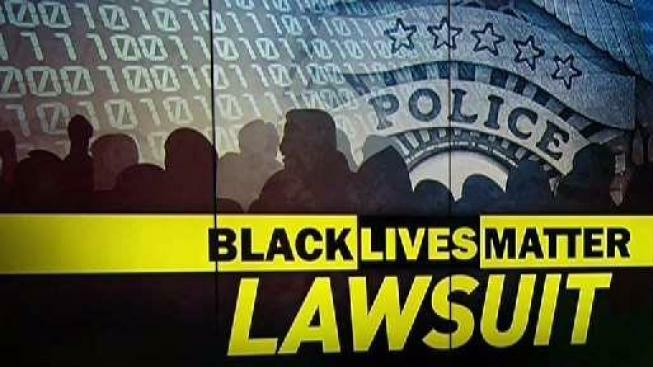 The Black Lives Matter members are suing the town of Clarkstown and Police Department officials in federal court. The I-Team reviewed the complaint, which will be filed Wednesday. The lawsuit claims the Strategic Intelligence Unit, a joint venture of the Rockland County district attorney’s office and the Clarkstown Police Department, targeted Black Lives Matter as part of a violence reduction initiative. More than a dozen members of a well-respected local community group in Rockland County have settled their racial profiling and illegal surveillance lawsuit against Clarkstown, its police chief and several other top local law enforcement officials, according to court filings obtained by the I-Team Monday. Sarah Wallace reports. Black Lives Matter members said their rallies have always been non-violent. A local teacher named Dominique McGregor echoed Newton's sentiment. Rockland County District Attorney Thomas Zugibe has repeatedly denied that the SIU ever conducted illegal surveillance. “This unit does not engage in any type of surveillance. They’re engaged in passive surveillance or monitoring of publicly available social media, period. End of story,” he said. Zugibe said the goal of the SIU was to protect Black Lives Matter and another local black community group, "We the People," from threats. Last fall, the I-Team uncovered another classified report that showed 14 members of "We the People" had their personal information collected and run through a law enforcement data base that checked for any contact with police. Attorney William O. Wagstaff III, who represents both groups, said federal law prohibits the surveillance and collection of electronic data concerning a group’s political, religious or social views unless there is reasonable suspicion of criminal conduct. Last month, "We the People" members settled a federal lawsuit with the town of Clarkstown for $300,000. Town officials did not acknowledge any wrongdoing or liability. It’s unclear whether any members of BLM were run through a database but Jerlyne Calixte, a counselor, said police are always out in force at the group’s peaceful rallies. “It’s like they’re anticipating something will go wrong,” she said. 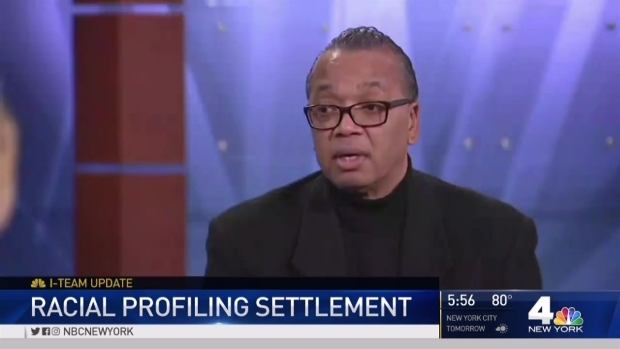 The I-Team has obtained a confidential police intelligence report that, despite continued denials by officials, reveals black members of a Rockland County-based community group had their backgrounds checked through a criminal database. Sarah Wallace reports. The local Black Lives Matter members said they are concerned that law enforcement may be targeting their organization in other towns and states. An attorney for the town of Clarkstown said the town has not yet been served with the legal papers and can’t comment. The I-Team has confirmed that the town Board referred the matter to the U.S. attorney’s office last year to, according to the document, "report evidence of what appears to be illegal profiling by the Clarkstown Police Department of Rockland County citizens based solely upon their race, political or social affiliations." The district attorney's office reiterated that in a statement.